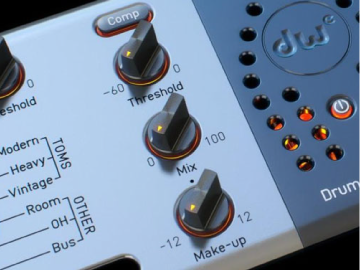 ​The All-in-One Drum Processing Tool Designed and Tuned by DW Recording Engineers. 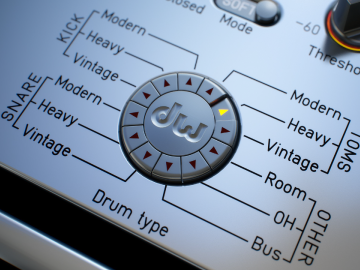 DW Drum Enhancer is designed to process the basic drum sounds from A to Z. Usually, you would need several plug-ins to gate, compress and EQ your drums as you desire. It's hard to find the right match of the processors, needless to say, you have to care about levels between the plug-ins and other annoying facts like tuning your sound in several windows at the same time. DW Drum Enhancer is not just one effect. It has got several EQs and compressors inside. By dialing the drum type the plug-in automatically chooses appropriate gate and compressor model and sets the 3-band EQ's frequencies to ideal values. Five types of valve saturation will give your drum tracks the real-life feel. The fastest way to get to the desired drum sound is to use the DWDE presets. Those were carefully prepared in DW studios by professionals that specialize in drum recording on daily basis. It would be hard to find someone who's ever recorded more drum hits. Don't search for the EQ sweet spots. 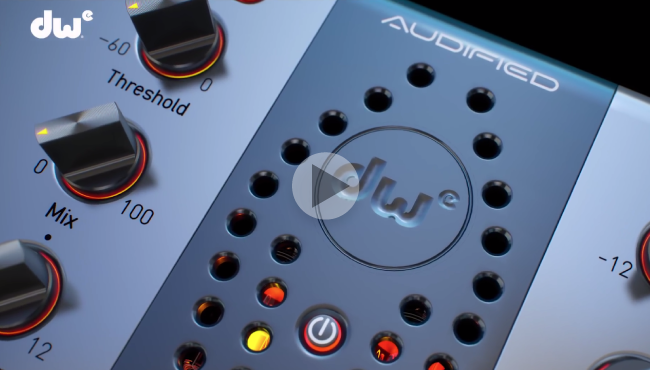 The DWDE EQ was precisely designed by the DW engineers. The knob's frequencies, Q's and high/low pass behaviour depends on the drum type you dial in the selector section. The Pre and Post positions are standard. 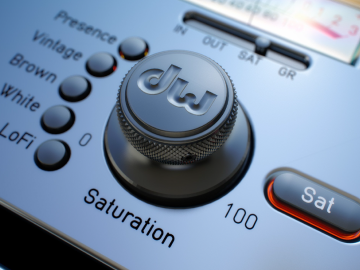 Five types of true valve saturation add the drum sounds colour, warmth and special character. The section is based on Audified precise circuit modeling technology. P - Presence – A higher amount of signal on mid-high frequencies allows better cutting through the mix. B - Brown – Has an almost flat response with only light high frequencies rolling off and nice higher harmonics punch. W - White – Has a higher amount of signal on higher frequencies and a balanced ratio between the even and odd harmonics. L - LoFi – Contains less low and high frequencies. We make our plug-ins as real as possible with all the natural analog feeling and side effects.